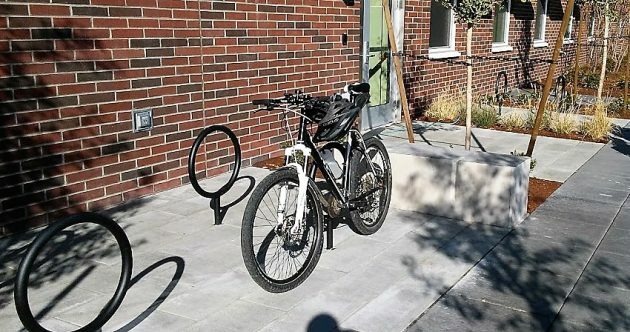 In spite of being unusually shaped, the bike racks at the new Station 11 do the job. 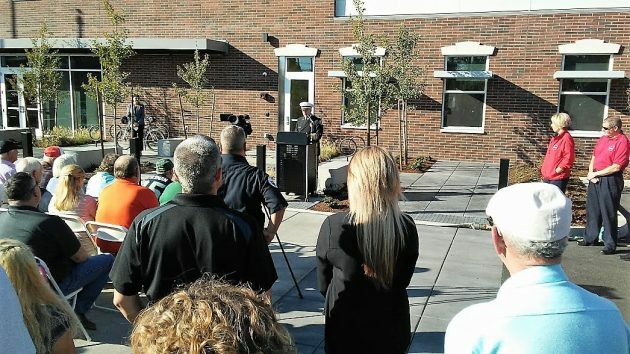 On Friday afternoon, I rode my bike to the dedication of Albany’s new Fire Station 11. Naturally the first thing I noticed was the bike racks and their unusual shape. Later, after the crowd had thinned, I and a few other stragglers walked through the building. As you might expect, the inside of the city’s main fire station downtown features a design that is clean and functional, devoid of googaws. It’s nice and simple but also handsome, the way you want a $7.5 million government building to look. The individual sleeping quarters on the second floor look like cells for monks — each with a single bed and a desk, that’s it. 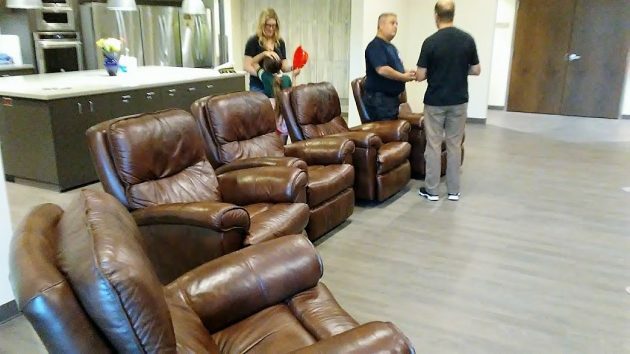 Except when responding to alarms, firefighters spend 24 hours at the station, from 7 a.m. till the following morning, so there are some creature comforts: Easy chairs in the day room facing a big TV, and a nicely equipped kitchen. The dining area features a table handcrafted from the Douglas-fir lumber salvaged from a shed of the old Ralston car dealership on Seventh Avenue. That was one of the buildings razed to make room for the new station and its parking lot. Fire Chief John Bradner and other speakers Friday thanked a lot of people, but mainly the Albany voters who approved the $18 million bond issue for the fire hall and the new police headquarters (at 2600 Pacific Blvd. S.W. ), and the taxpayers who will be footing the bill to pay the bonds off. 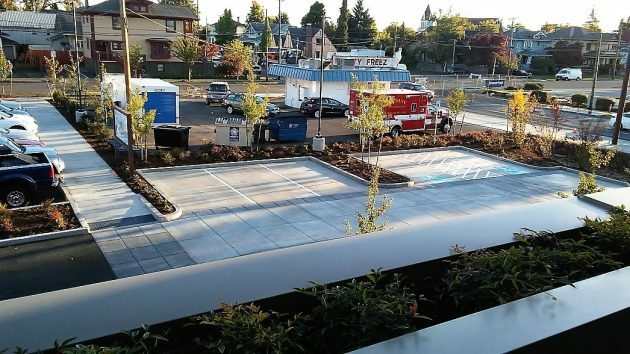 To get a proper impression of the new Station 11, you should take a look yourself. The station will be open again for tours this morning (Saturday, Oct. 7, from 10 to 1) as part of an annual “treasure hunt” for kids. Fire Chief John Bradner at the dedication. Mayor Sharon Konopa is on deck (in front of my bike). Easy chairs in the day room. The kitchen is to the left. 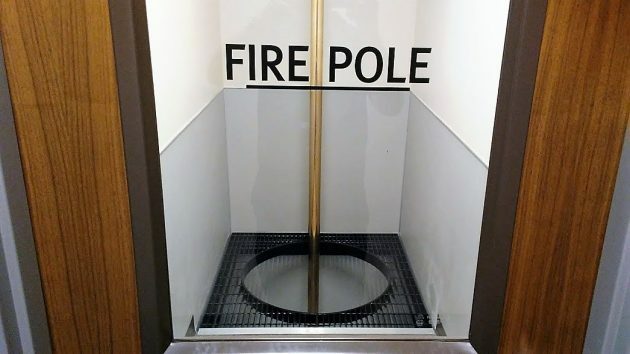 One of two fire poles in the station. The doors were locked to keep kids (and me) from coming to grief. 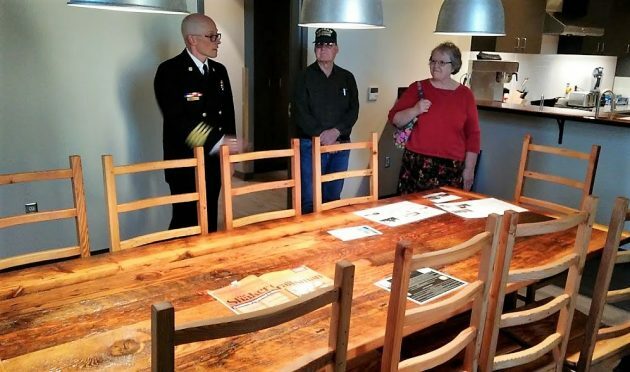 Bill Cornwell of The Shaker Craftsman (Yakima, Wash.) made this table from salvaged lumber and donated it to the fire department. The view from the station’s balcony: Hasty Freez, whose shakes, burgers and fries have kept firefighters fed for decades. 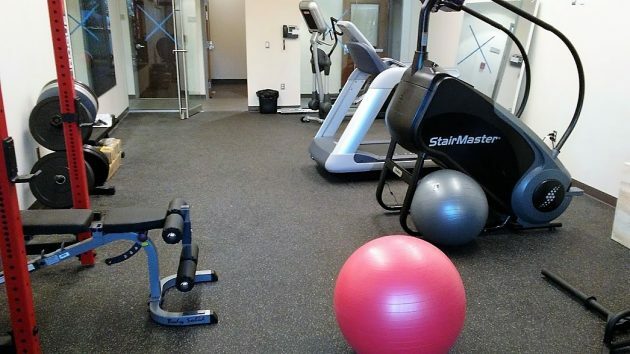 And a place to work off some of those fries from next door. See the new station, cheer on Walk for the Cause and of course check out the locally grown ag products at the Albany Farmers’ Market. There was no question that the prior building needed to be replaced. There doesn’t appear to be adequate parking for employees though, for now & future growth. What’s with the gigantic landscaped areas? Page 14, Section 9.150 is near the bottom of the page.